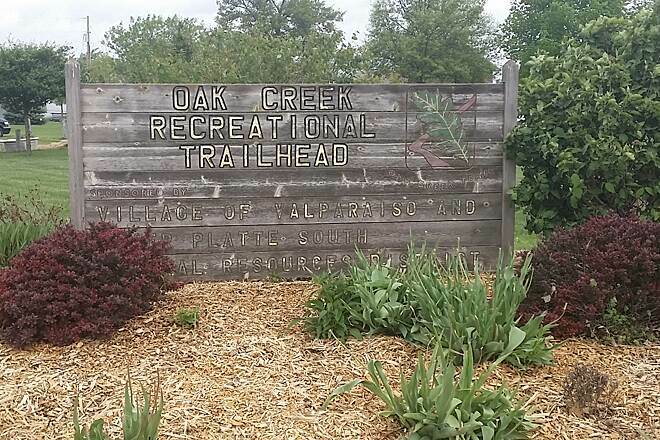 Nebraska's Oak Creek Trail, occupying a former Union Pacific Railroad corridor in the eastern part of the state, is about as rural a trail as you will find in the United States. 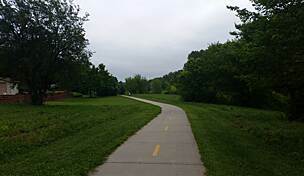 While the trail is only about 1 hour from both Omaha and Lincoln (Nebraska's two largest cities), it connects two towns with populations of less than 600 with little development in between. 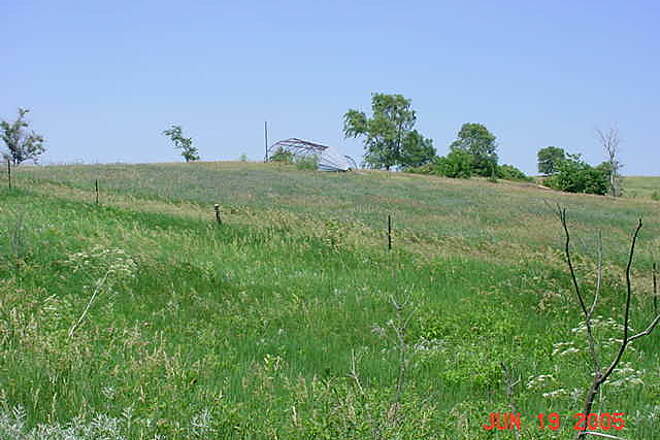 The rural environment of the Oak Creek Trail makes for beautiful scenery. 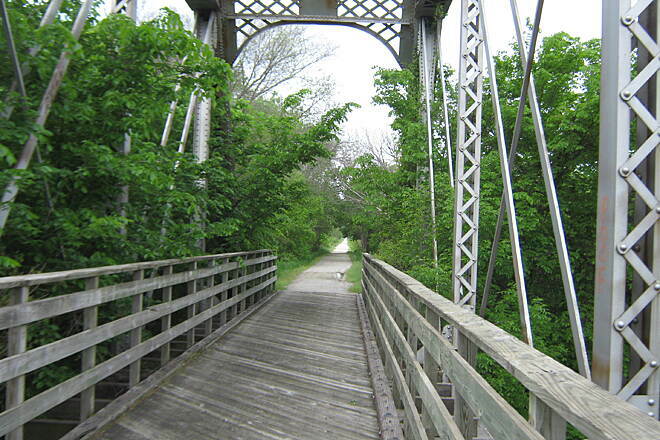 Begin your journey at the trail's northern endpoint in Brainard. Outside of the town, the trail follows the top of a picturesque ridge. For the next several miles, natural prairie stretches as far as the eye can see. Just north of the trail's midpoint, trail users enter the tiny community of Loma. 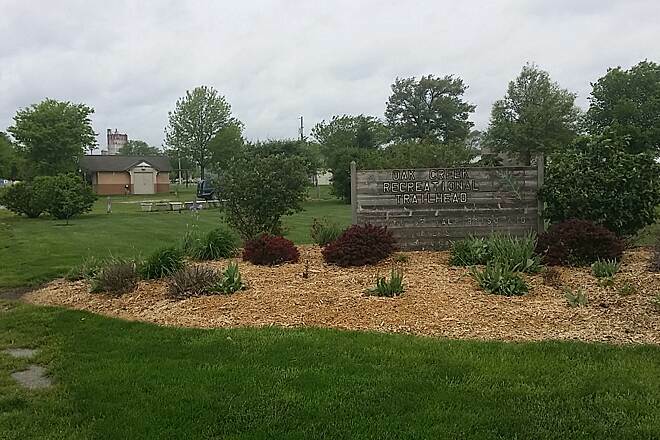 Restrooms are located just off the trail near St. Luke's Czech Catholic Shrineestablished by Czech immigrants in 1911in the center of town. 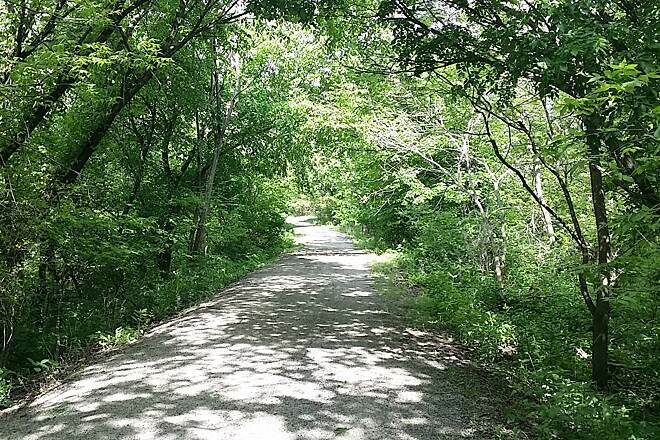 The rest of the route continues through natural prairie, open farmland and oak woodlands until the trail reaches its endpoint at the trailhead in the town of Valparaiso. Support local businesses at the end of your ride or run, and stop in for a bite to eat at one of the town's restaurants. 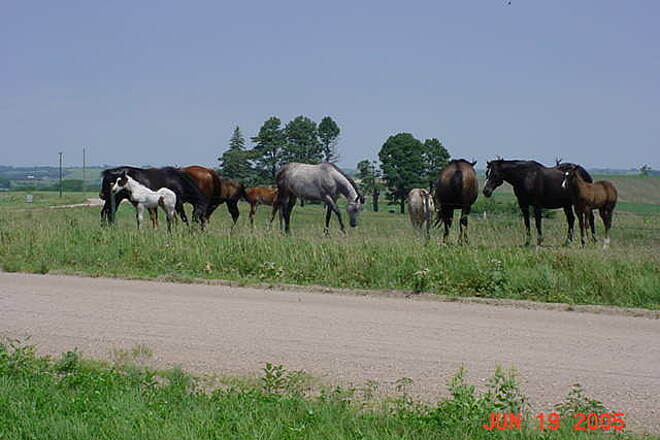 Horse trailer parking can be found at Valparaiso's trailhead; an equestrian trail runs adjacent to the Oak Creek Trail for its entire route. 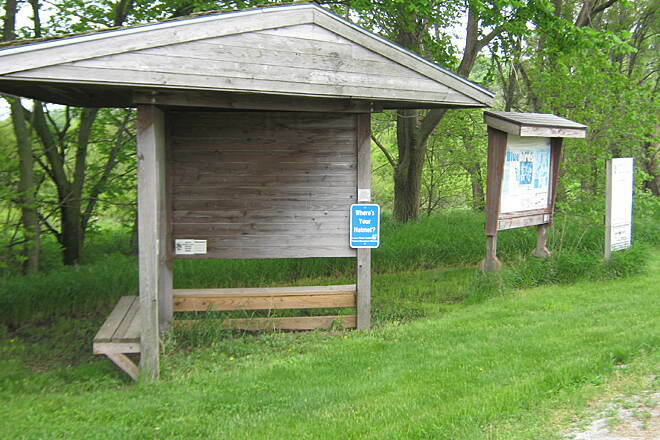 Parking for the Oak Creek Trail can be found at the trailhead in Valparaiso at the intersection of State Route 79 and W. 3rd Street. 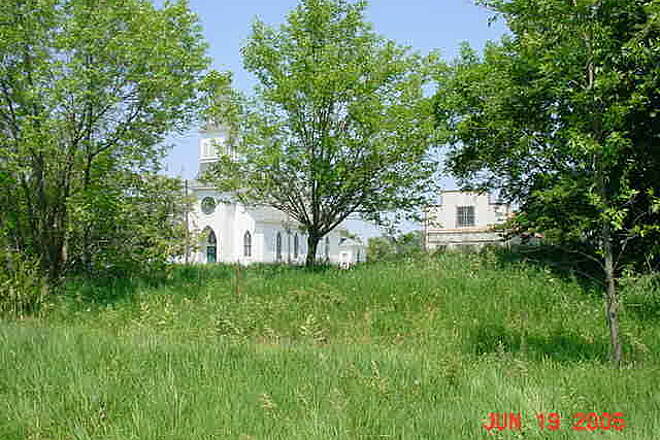 In Loma, park at the lot off County Road W in the center of town. 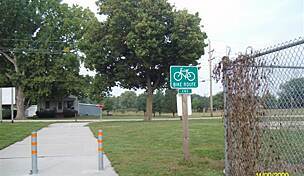 At the trail's northern endpoint in Brainard, a small parking lot can be found at the intersection of County Road 30 and S. Lincoln Street. Beautiful, peaceful trail. The scenery changes from a treelined trail with steep drop-offs, to hilly fields and old buildings. There is plenty of wildlife to enjoy as well. We enjoyed our tours through Brainard and Loma, which included the old Czech dance hall and the beautiful catholic churches. I've used biking as a means to escape reality and exercise over the last couple of years. 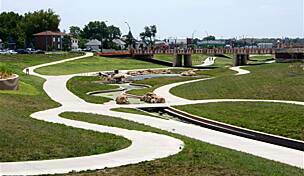 Living in Lincoln is very convenient as there are trails everywhere. When I have an hour or two to kill I can easily go out and enjoy the outdoors. One thing I've really been hung up on is isolation. I want to really get away and this trail is perfect. About 20 minutes away is Valparaso. 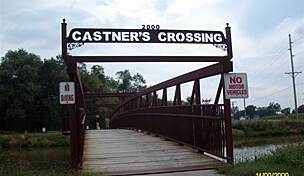 Nice little town where our trail starts. There is a gas station that will be your best bet to get a drink or a snack. Starting here on my Cannondale CX-2 I will pace myself. The ride has a slight incline most of the way and you'll feel it most of the 13 miles. All crushed rock, my brothers road bike seemed to handle it just fine. Loma has an operating bathroom at just over 7 miles. I usually take 45 minutes each way. I highly advise you bring a tube, because you'll be walking otherwise should you get a flat. This is true isolation. There is no place I'd rather go than this trail. You will feel alone and in the wild. I've chased turkey, squirrels, deer, rabbits, and a badger. (Not the best decision to chase a badger) Val to Loma feels like the woods and Loma to Brainard will give you the great plains. I usually take this trip as the sun is setting. It is absolutely beautiful at this time. Yes, I'm that guy biking in the dead of night. Nice for a easy trail... and a little workout. There is a lot said about this trail in other reviews, but there's just a few things that I want to add. I decided to start in Valparaiso. I found the trailhead there easily, from the maps, but after I parked and walked around a bit, I found that the restroom which looked so handy, was locked up. I don't know its 'open' hours, but I would not count on it being open...at least at 9:30 Saturday mornings. 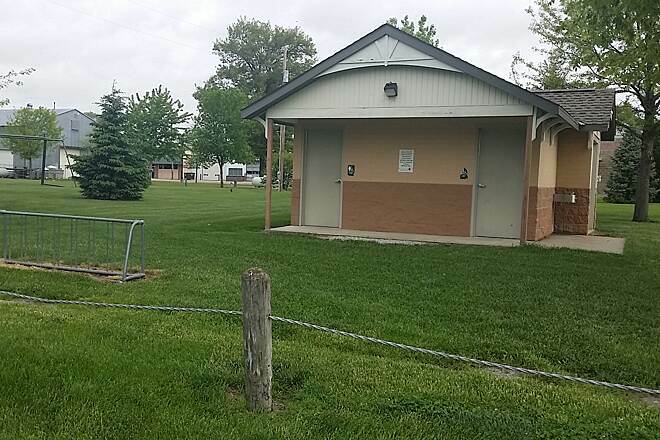 There is a nice gas station a block away tho, and easily visible from the trailhead, so you can use its facilities and get your snacks there if need be. They were very nice when I went in. I was a bit confused as to where the trail started, as it does not start at that spot, which has a sign that reads "trailhead' and has all the parking and decorations. There is one little yellow seemingly out of place sign at the park, that reads 'cycling'. I knew the old railroad headed out of town to the west tho, from map gawking on my pre-ride research, so I headed a few blocks west, and found it. Once your at the large marked trailhead, you need to ride about 2 blocks west, then 1 block north, and you will see the actual start of the trail, marked by a couple typical wood placard covered billboard type structures. 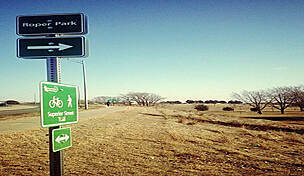 That is also where the trail funds go for your daily ride fee. There may have been an obvious connection to there at one time, but I didn't see it. When you get to Loma, you might not even know it. You will see the restroom there, from the trail, so no need to go off trail at Loma. The restroom there is....very basic, but very nice to have there :) There's a concrete pad there also, which looks to be for a picnic table or something, but the pad was bare. Still....nice spot for a rest. Once you get this far, your a bit more than 1/2 way to Brainard. Take the break...the rest of the way to Brainard is more uphill, and windy. The last couple miles at the top, just before arriving Brainard, get easier. Flatter. You can gain some speed again. As you come into Brainard, theres a nice little covered picnic table spot for lunch. I did not spend much time in Brainard, due to bad afternoon forecasts, and already been lightly sprinkled on once, and had 13 miles to go to get back to my van still. I rode this one a bit faster than I normally do, just due to the afternoon forecast, but I made 10 mph avg, and spent 2 hr 40 min riding, and the whole trip took me about 3 hr 45 minutes. I was tired when I got back. I hit the gas station for a Gatorade and a ice cream cookie sandwich. Issues...I didn't really see any with the trail. The only cut out parts were from normal country road grading, which are typical. Most of them did not even really slow me down. I found very few critter holes in the trails, and they were small. There is a tiny amount of grass in the trail in the northern section...but not enough to even really mention....nothing that makes an issue for trail riders. 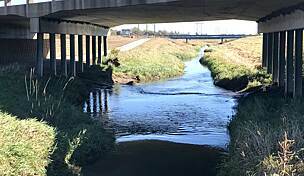 There was one spot up near Brainard that had a 20 foot section under about 5 inches of water, but I coasted thru that with no problems, other than a couple squeeks from my brakes afterwards. This is a nice trail. It will make you tired tho. I rode north, then south. I had the winds in my face on the way back/downhill, so never could get into a speed groove I had hoped, but it was a fun ride. I saw NOBODY the entire time I was on it! The only reason I give it less than 5 stars, is that the restroom was not open as I had been led to think. I was spending some time in Lincoln from out of state, and decided to take my road bike for a spin. I was nervous about riding my road bike (with its narrow tires) on a crushed stone path, but it was pressed well in most places, so wasn't a problem. I road cautiously (~10 mph) on my way out, and less-so (~14 mph) back. It took about 2.5 hours, including time for photos. Watch out for loose areas (not well packed) near the many county road intersections. Otherwise, the trail was mostly clear of debris. Watch out for bunnies around dusk. There are approximately a million wild plum trees along the route, as well as some trees that bear smaller greenish fruit. I stopped to pick plums at about mile 10, where they were ripest. There is also a large apple tree by the restrooms at mile 6.5. The ripe apples were hard to reach, but they were very tasty, and seems to be a lot more coming this fall! 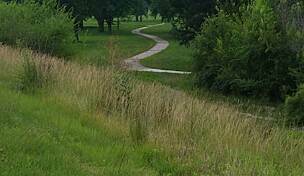 As of the end of May 2014, the trail is in very good condition, suitable for bikes with 32mm or wider tires. 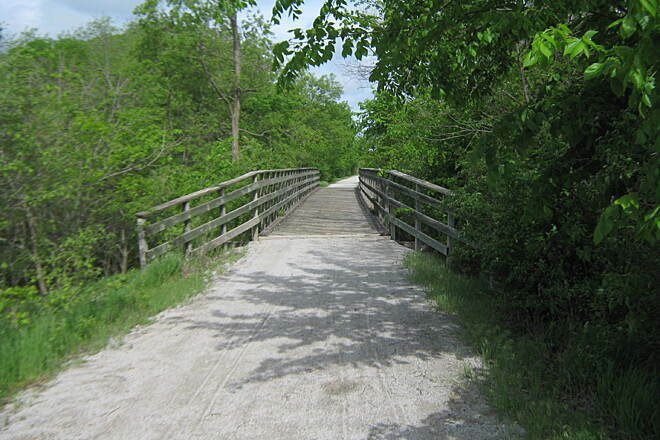 Starting in Valparaiso, the first few miles of the trail follow the creek valley; the trail is flat, shaded in many spots, and passes over several handsome wooden bridges. Approaching Loma, the trail climbs continuously for a couple of miles. From Loma to Brainard, you follow a fairly flat ridge line, with nice views but no shade or shelter from the wind. Go early to miss the high noon sun and strongest winds, as well as to have the best chance to see some wildlife (deer, turkey). It's also nice to make Valparaiso your starting point, so that the last part of your ride is downhill, with the wind most likely at your back. Don't expect any amenities except for a toilet at the trailhead in Valparaiso, and another in Loma. Loma doesn't seem to have any businesses of any kind; Brainard doesn't have a real cafe, just a bar. Valparaiso has only a bar and a small grocery. I'd recommend packing a good breakfast and enjoying it in the nice public park on the main street in Brainard, rather than trying to get anything to eat locally. 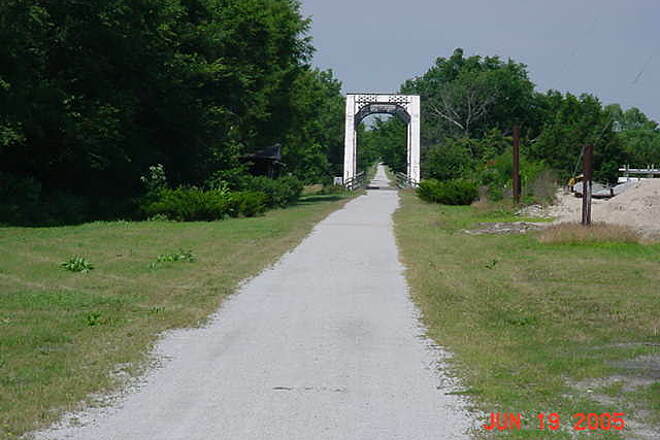 In sum, this is a well-maintained, lightly used trail, passing through some pretty rural country. I enjoyed it very much. 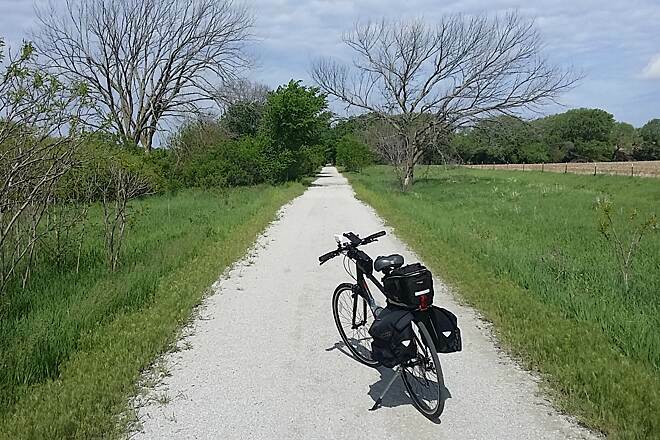 May 2014 this trail was in great condition, just watch for some soft gravel road xings. We started in Valparaiso up the grade into a 25 mph wind from the NW, it took 2.5 hours to traverse 13 miles and reach Brainard. Only 1.5 hours to return. In 4 hours we saw only two pedestrians and one other biker. In Loma the bar was closed so there were no refreshments to be had along the way. Brainard has a few businesses and a bar/grill which had great food. This trail is well maintained with a good solid surface. An isolated but beautiful ride the entire way. This ain't no citified trail! The crushed limestone surface is as cushy as it gets. You will dodge large animal burrows, horse pucky, and washouts. You will smell living animals, and dead ones. Farmers will keep an eye on you, and so will the cows. It is true that some road crossings have deep gouges graded across your path. From first hand knowledge, this is done by anti-trail residents. 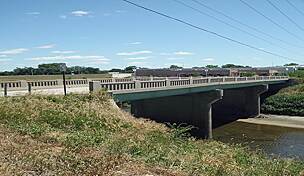 They feel the land should have gone to adjacent property owners, when the railroad pulled out. This is not much of a hurdle to bike riders, and nothing to be concerned about. Brainard is around 300 feet higher than Valparaiso, and the trail is generally uphill in that direction. There is parking at both towns, a trail head with water at Brainard, and a rest stop at Loma. Good work out, with interesting views, and the rough trail keeps you alert. My husband and I used the Oak Creek Trail for the first time this past 4th of July weekend (Sun., July 5th). We took out our Terra Trikes, which have 3 mountain bike type tires. It was a perfect length of trail for us, and we loved the countryside. From Valparaiso to Brainard was 26 miles round trip. We even saw a gorgeous buck running through the fields. Even though it was a scenic ride, most of the trail was compromised with ruts from washout, and the intersections to the gravel roads were so bad we had to get off our bikes and walk them across the deep crevices to get back to the otherside of the trail. 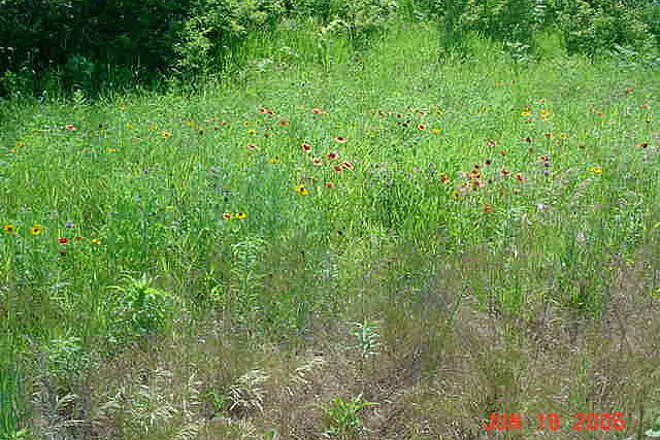 The weeds in most spots were at least a foot high in the middle of the trail, making it difficult to maneuver. Fortunately, we only sustained one flat from the burrs. The weeds in the middle of the trail hid the holes that were dug by animals (which is understandable). In some sections, the weeds/bushes that were mowed along side the trail, instead of being blown into the ditches, the weeds/bushes were blown onto the trail, getting stuck in our spokes and gears. We know that the upkeep of trails is costly and time consuming, but it did make it a little more difficult to maneuver. 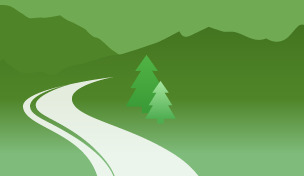 Thanks for having a scenic trail available for us to ride on, and we do understand that the trail needs some upkeep, and weather conditions can change a trail without warning. I would recommend this trail for those that have bikes with mountain bike tires, but not for someone like us who have a 3-wheel bike, as they are too wide to avoid the weeds, or those with road bike tires, etc. Thanks for listening to me. I look forward to riding it again with our regular mountain bikes. "Nice ride, a variety of terrain and a great restaurant on Main Street in Brainard!"